The Pow Wow Days Town and Country Fair takes place every year in the beautiful 36 acre Orangevale Community Park in Orangevale, CA. The event is a 55 year old tradition, is 3 days long and is expected to draw thousand attendees in 2018. Pow Wow Days is fun, affordable, safe for the whole family and admission is FREE! 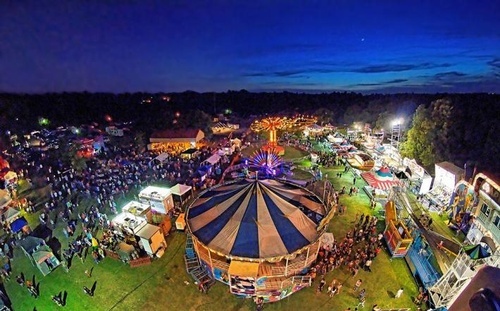 Our community enjoys our friendly atmosphere, wonderful parade, traditional country fair displays, hands-on activities, carnival, yummy specialty foods, festival style entertainment, special attractions and events, unique crafters and a variety of vendors. We serve our community through supporting local youth programs and promoting local vendors. Proudly hosted by the Orangevale Chamber of Commerce, our country fair has highlighted, promoted and financially supported over 18 schools, athletic and service programs/groups since 1963.